Discussion in 'Ps3Xploit [Official Forum]' started by nalim, Jan 12, 2019. After removing the IHS (cover) from the processor and applying a new thermal paste, my ps3 beeps twice and the red light blinks. After doesnt power on. 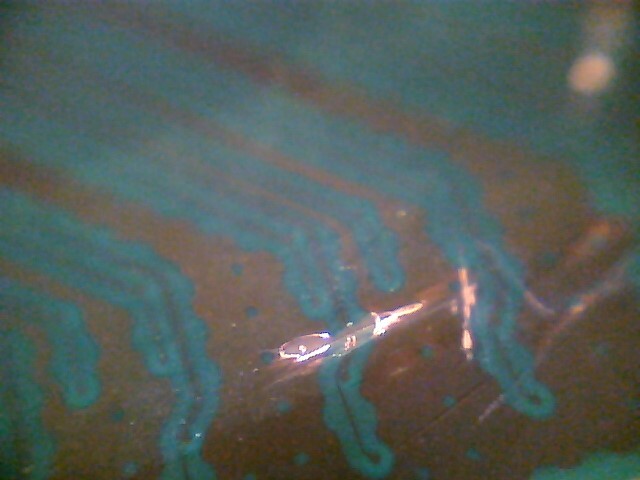 When the ps3 switched on it immediately burns the finger if touch. Its possible replace for other processor? 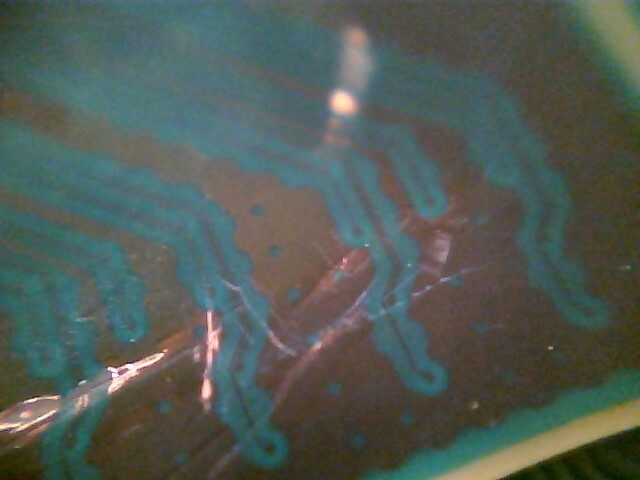 If you want a better diagnostic you need to post a photo with better quality of your CELL... and before making the photo you need to cleanup the grey "silicone"
Zazenora and Coldheart2236 like this. 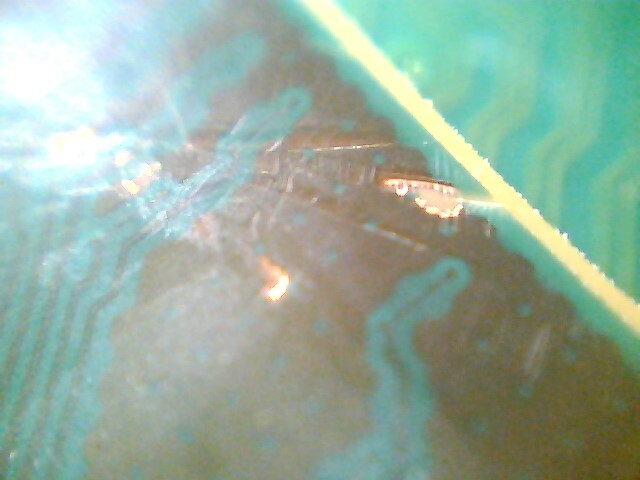 Hi, I tried to make a microscope with a notebook camera to take a photo, see new images below, apparently cut two points. 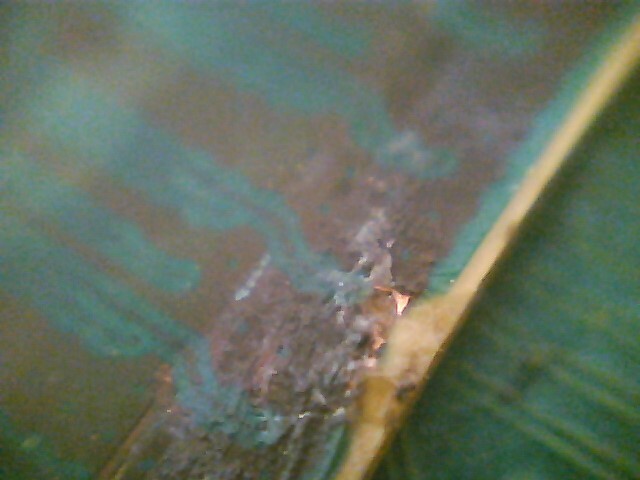 There are scratches, and some copper lines looks "cutted"
If you look at the pics there are copper traces cut all over the CELL, and its scratched to hell. 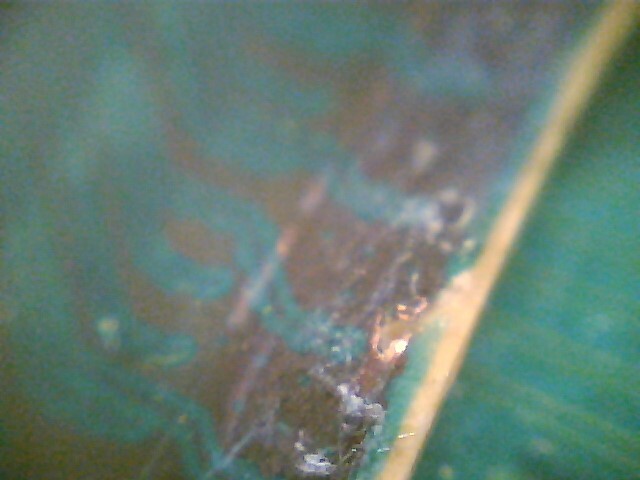 This PS3 has been killed as this is most likely irreparable damage to the CELL/BE Processor. Gabriel2Silva and RandomDude like this. 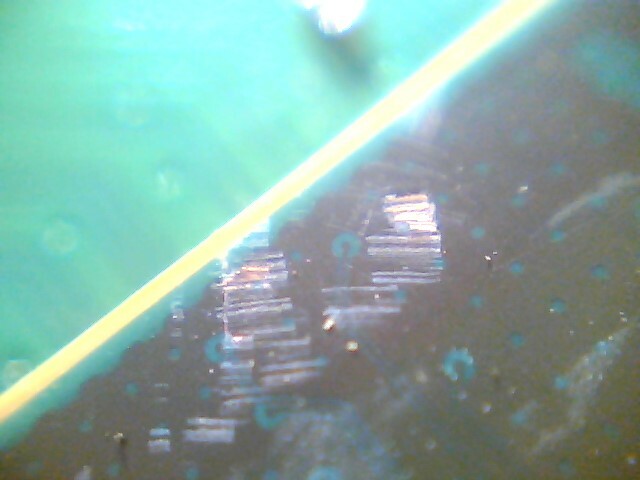 But isn't the Cell BE prone to BGA cracking problems too, at least on first generation Phats (CECHA~E)? Also, isn't the Cell the main offender when it comes to the YLOD? 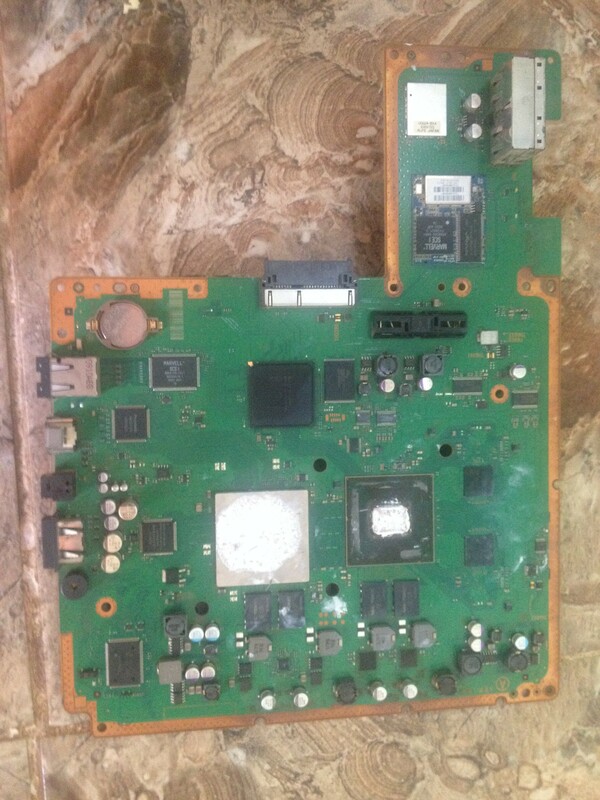 I never tried delliding the PS3 on purpose, but when I first opened my CECHE Fat the RSX IHS came out by itself together with the heatsink unit that was glued to it through the old thermal grease. Then I repasted both below and above the IHS and called it a day. It's true that it's really easier to delid the GPU. Before that i also had a reballed C04 in 2011,which failed miserably. 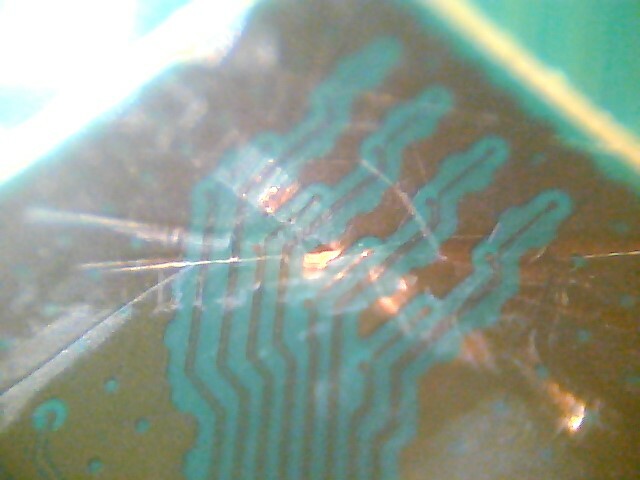 The issue isn't with the Solder balls, but rather the chip itself, specifically the RSX its the one to blame. Poor maintenance, dust and dry thermal paste are the cause, not to mention the poor fan syscon on OFWs, which prioritises noise over proper cooling, with time causing the RSX Core to overheat and fail. Do this experiment. Get a heat gun, heat the RSX to 150° and you will see that it works. If that doesn't work, heat the NEC capacitors, if they are bad, they only start if heated, all NEC based machines present this issue. 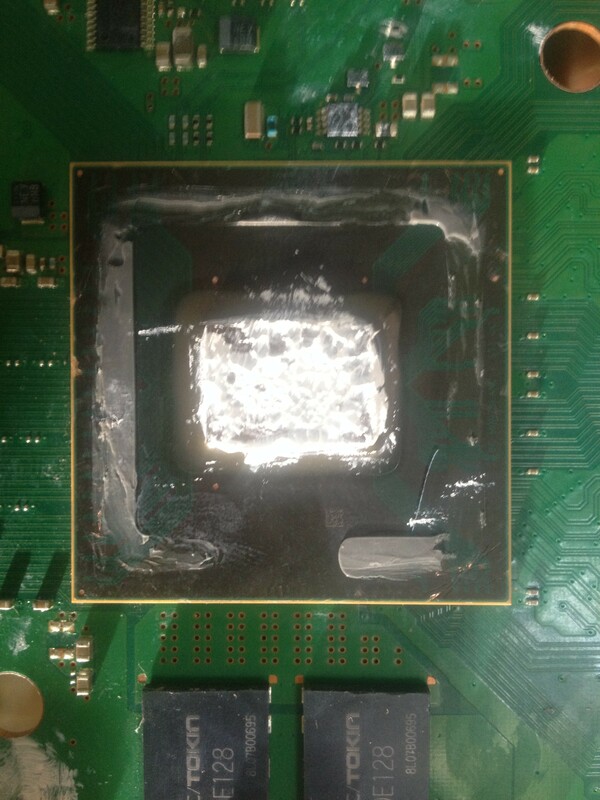 GPUs works on the same principle, and all use lead free solder BGA, same with the PS3, did you ever see a PS3 Slim failing? I didn't, not at least at YLOD, thats not because its running on a 40nm RSX instead of 90nm, and belive me, ive seen more Slims getting the RSX close to 65°C, with the same fan speed as a 1st Gen 90nm,but yet the Slims don't fail. 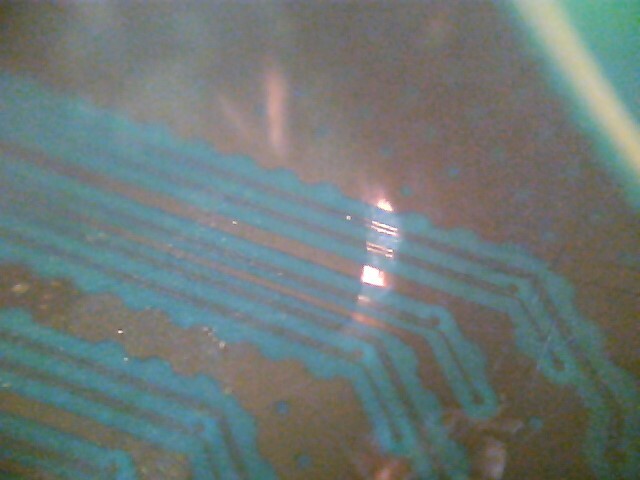 That's because the Solder balls aren't the issue, and YLOD its not a specific problem. This its a silly myth that people created through home remedies back in the day, but people created they're own reballing bubble that they refuse to belive otherwise, and as long as it works, they will continue to do so. I also have a slim (2501A) with issue. I turn it on and, after 2 seconds, it turns off (as when it's without power). Tried to change the psu, but the issue continues. Any idea about what's going on with it? I had a 2504 with a similar issue, and never got resolved, in that topic it can be many issue related to a certain capacitor, but ut is hard to know which one. I found your thread. I will change all four capacitors nearby that, they are cheap. If it works, I will post it here.